The American Legion Auxiliary is working to keep patriotism a part of the education of every child, a patriotism that teaches love of America through knowledge of how our state governments operate. 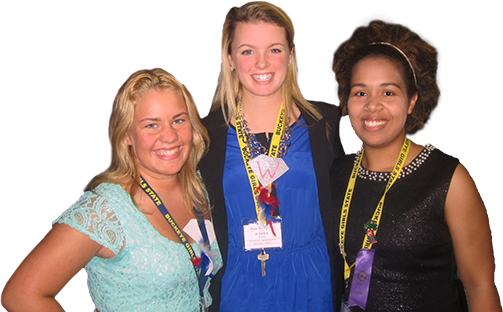 Girls State is a showcase program of the organization. The Girls State program was organized as a national Americanism activity by the 1937 National Convention. The first Girls State was held in Washington D.C. in 1947. The program is a practical application of Americanism and good citizenship. The entire program is a non-partisan, non-political attempt to teach and inculcate in the youth of America a love of God and country. The Girls State purpose is to: provide citizenship training for girls of high school age in every Department of the American Legion Auxiliary; afford them an opportunity to live together as self-governing citizens; and inform them about the duties, privileges, rights and responsibilities of American citizenship, in order that they may understand and participate in the functioning of their government. Mrs. Robert Gray selected the first Buckeye Girls State Council (later changed to Board of Directors) and named Mrs. Carl Zeller (Leta), Director. In 1946, the Ohio American Legion Auxiliary chartered the Buckeye Girls State program. The first session of Buckeye Girls State was started in June, 1947 on the campus of Capital University, Bexley, with 304 delegates with a staff of approximately 30 Auxiliary members. The purpose of BGS, as written in 1946 was…"to educate young girls of high school age in the duties, privileges and responsibilities of American citizenship; to provide an opportunity for them to live together as self governing citizens and to participate in the actual functioning of their government…" it is no different today. BGS has been held at Bowling Green University and Ashland University and has now moved to the University of Mount Union. It has grown to 1000 delegates attending and 175 Auxiliary staff members. BGS is one of the largest Girls States in the Nation. The legacy from those Auxiliary members who chartered the first BGS remains. The delegates attending become citizens of their own state, members of a political party, run for elected office and deal with affairs of government at all levels. The lessons learned at BGS enable these young ladies to become more informed citizens in how their state government functions.